Bill Bailey's Tri-Tip Kabobs with Grilled Onions, Bell Peppers and Zucchini. Make dinner feel like a party any night with these delicious grilled kabobs! 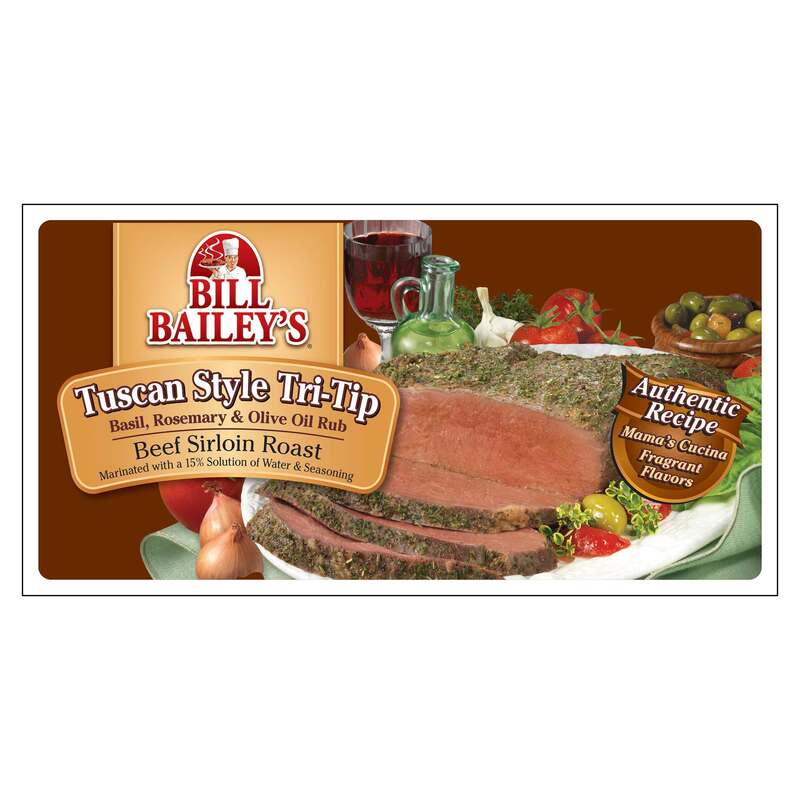 Perfectly seasoned and marinated Tri-Tip means you've got a head start on fabulous! Soak the bamboo skewers in water for 30 minutes or longer. While the skewers are soaking, cut the veggies and Tri-Tip into 1.5” chunks. Toss the peppers, zucchini and onions with olive oil, salt and pepper. Thread the skewers, alternating Tri-Tip with the veggies. Grill over medium heat for 15 to 18 minutes, turning frequently, until the Tri-Tip reaches an internal temperature of 145ºF and veggies are charred and reach desired doneness. Let rest for 5 minutes before serving.